Just how accessible is accessible? Cities are amazing, chaotic, organic entities that very often defy attempts to impose structure and organisation upon them. A city as old as London – dating back, as it does, two millennia – is more complex, more chaotic and more amazing than most – that is why it is one of the world’s great cities. From time to time, planners, strategists, administrators have to make an attempt to impose some sort of order – whether it is classification by postcode, organisation into boroughs, imposing aesthetic criteria or laying down the infrastructure that allows people to move from one part to another. Such attempts are often partly thwarted by the city’s inherent ability to resist: just try navigating the dank back alleys of Venice using the map application on your smartphone, and you will soon get lost. Architects and town planners’ attempts to impose any sort of aesthetic conformity on London were – to a large extent – thwarted by the Luftwaffe. 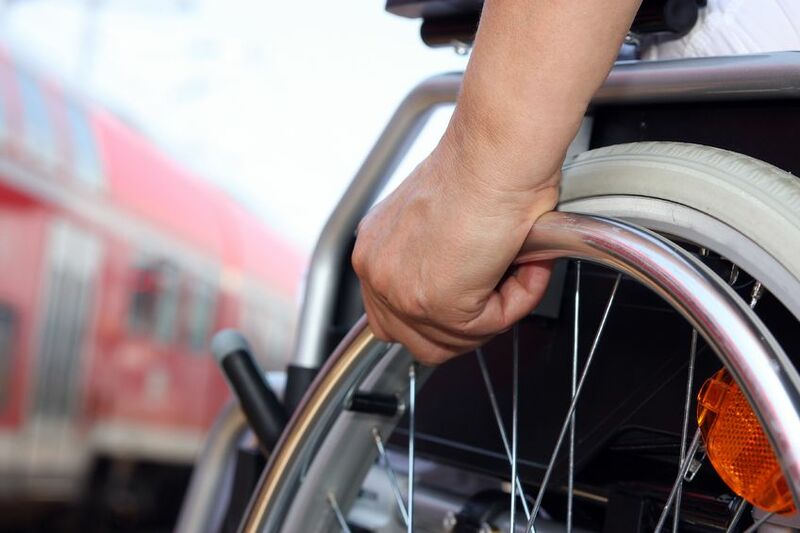 It shouldn’t be surprising, then, that cities have to be poked, prodded, cajoled and enticed in order to meet the requirements of accessibility legislation and aspiration. Particularly recalcitrant is our ageing Tube: it suffers the disadvantage of having once been at the cutting edge of public transport technology. Tunnelling deep under the city in the late 19th and early 20th centuries was an engineering feat, of which the UK could be justifiably proud. Some of the avant-garde architecture of the more outlying, suburban stations is in stark contrast to the street upon street of ‘cookie-cutter’ houses that surround them. Leaving the civil engineering challenges of the Tube to one side for a moment, it is, though, still possible to conceive of London as something of an exemplar in terms of the accessibility of its public transport: which other major world city can boast a fleet of licensed taxis that is 100% accessible? Try visiting Paris or New York as a wheelchair user and you will soon see how the black cab has opened up the city to Londoners and visitors alike. Thanks to the forward thinking of the often controversial Ken Livingstone, London also has a totally accessible bus fleet. Of course, in the early days, there were problems with ramps that didn’t work, drivers that couldn’t be bothered to use them and companies that couldn’t care less. The much-beloved RouteMaster was taken off the streets – much to the consternation of newspaper columnists and other assorted reactionaries. Now, thankfully, bus companies are fined if a vehicle leaves the garage without a working ramp. Drivers have undergone disability equality training and the only remaining obstacle to wheelchair users is the competition for space between wheelchairs and owners of large prams The owners of these prams often stubbornly refuse to vacate the spaces allocated to wheelchair users. 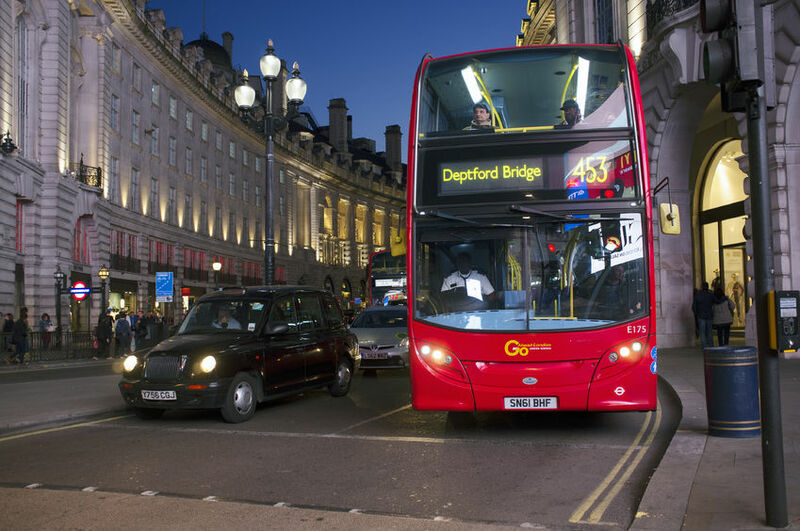 From a vision impairment perspective, life on the buses has also become more bearable: those with residual vision can often see the large number displayed on the front of the bus, while on-board announcements tell passengers the name of the next stop. There are apps that tell you – in real time – how soon the next bus will come along as well as its destination. 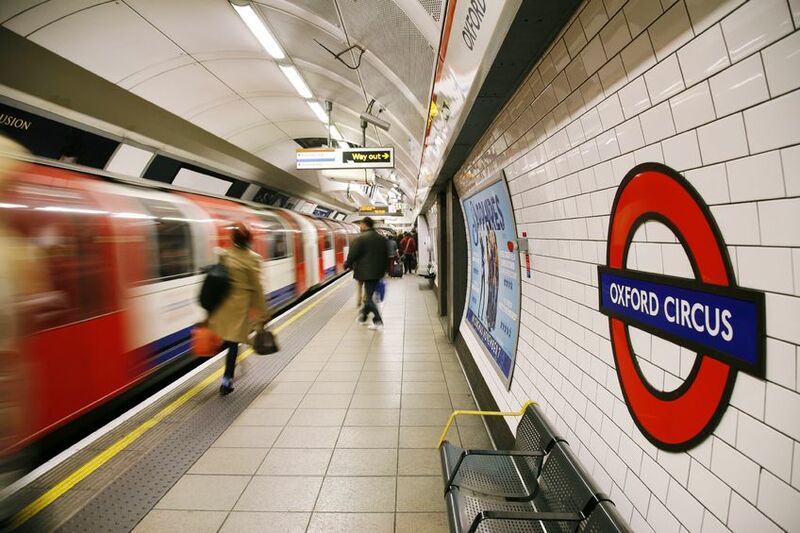 Returning to our old friend, the Tube, around 25% of the 270 stations are now accessible. Several stations now have portable ramps and staff are far more disability aware than they ever were. There are, though, some glaring omissions: in the West End, for example, only Green Park station has been made accessible. Some stations have accessible platforms in one direction only. And, of course, ‘cost’ is the oft-cited objection to overcoming the engineering challenges of the deep underground stations. In 2004, I visited two European cities to compare and contrast accessibility, ahead of the final implementation of the Disability Discrimination Act. Barcelona had, 12 years previously, hosted the Olympics. The vibrant disability lobby in Catalonia had pushed the regional government beyond its original ambition of making the city accessible just between Olympic venues: they insisted that a fully accessible city be made possible by 2006. It was this social and political pressure that brought about such a sweeping change. Brussels, by contrast, is a city that hosts an annual conference to mark International and European Day of Persons with Disabilities. Disabled people from all over the European Union converge on the city in December of every year – and find it wanting. I took my TV crew on a typical day out with Nora Bednarski, then of the European Disability Forum. We visited – among other places – her local post office, which had a massive step at its entrance – so high that she was unable to manoeuvre her wheelchair in order to get inside. Next, we went to her local cinema multiplex – there were steps everywhere. The usual arguments were trotted out about antiquity being incompatible with accessibility. That was the reason why Brussels’s magnificent town hall was not the place to get married if you had difficulty negotiating steps. Even the EU building that houses the Commission Department that deals with disabled people had an inaccessible entrance. Part of the order of ceremonies at the annual EDPD conference is the bestowing of awards for cities that have made outstanding attempts to improve their accessibility. Unsurprisingly, Brussels is never among the contenders. More surprisingly, nor is London. From a disabled person’s perspective, the city has an awful lot to shout about – and an awful lot that could be done better: London’s black cab drivers for example could be a little less reluctant to deploy their ramps for wheelchair users and be more accommodating of assistance dog users. Customer service, more generally, could be more disability-focussed. Perhaps what would really concentrate minds would be to pinpoint a date in the future – borrowing the example of the disability lobby in Catalonia – by which the entire city would be fully accessible to growing numbers of Londoners and visitors with reduced mobility. We all know about the ageing population – so achieving full accessibility is something of a no-brainer. Given the complexity of the challenges, that date may well have to be a decade or two into the future. Nonetheless, it would concentrate the minds of the city’s politicians, civil engineers, architects and transport strategists. Of course, there is more to accessibility than simply making the means of conveyance fully accessible: however, simply making this or that public space, shopping centre, workplace, housing development or whatever ‘accessible’ is meaningless unless people can get around without encountering barriers. Cities are wonderful places – they often frustrate and delight in equal measure. More than most other cities in the world, London’s delights and frustrations deserve to be opened up to the widest possible number of people. Join Geoff and other experts on accessibility as we discuss the Mayor of London’s future plans for making the nation’s capital more accessible. The after hours event, Accessible London: can it work?, will be held on 15 December and is free for all Business Disability Forum members to attend.